Camp F-10 was located 15 miles southwest of Rapid City on Rushmore Memorial Highway 40 (now U. S. 16), nestled in a valley south of Rockerville (1934). It appears that it may have been located near the center of the south section line of section 24, T 1S, R 6E. 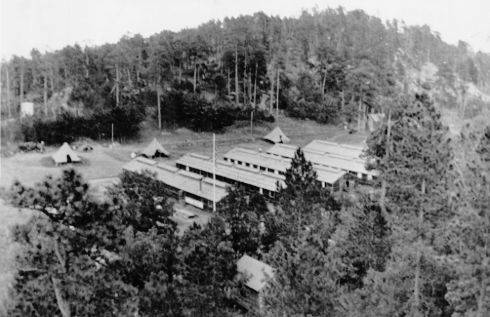 In 1933 it contained 17 buildings-four, 50-man barracks, mess hall, kitchen, bath house, cooks' quarters, recreation hall, administration building (army and forestry), store room, foresters' cabin, CO's cabin, hospital, garage, blacksmith shop, two other cabins, and a water tower on top of the hill (1934). Company 1794 was the only company to occupy Camp Rockerville. It was born on the eve of a young cloudburst at Fort Meade, May 18, 1933. The downpour facilitated an early christening, and the company became Headquarters Company. It consisted of 55 men transferred from other companies. Transfer of all special duty men to the company built its strength to 175 men, but further transfers and assignments caused considerable variations in the strength (1934). The company was designated as 1794, causing rumors of an exodus to the woods, which was well accepted by the embryonic "Boones" and "Mortons." 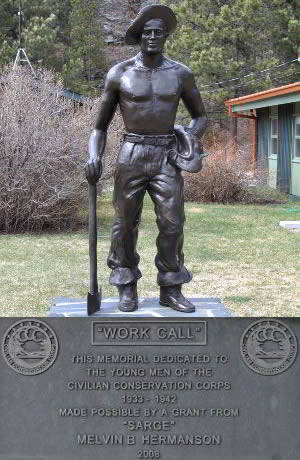 The move came on June 16, when the company of 87 men was sent to Rockerville, into the Harney National Forest to Camp F-10 (1934). 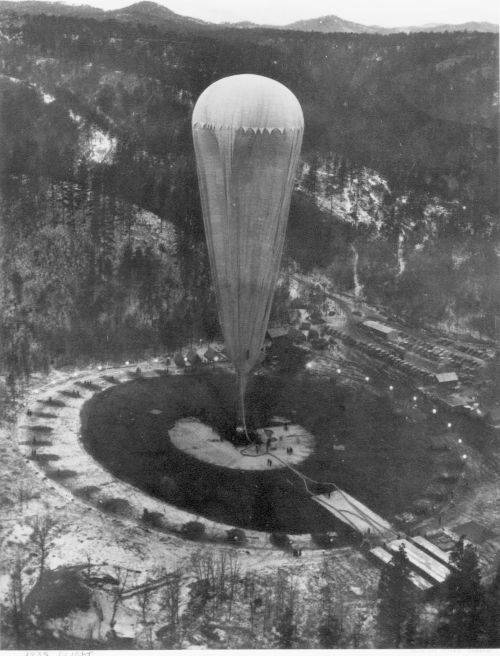 During the spring of 1934 word came about a stratosphere flight to be sponsored by the U. S. Army and the National Geographic Society. The Black Hills were mentioned as a possible place from which to make the flight. A reconnoitering party that included the superintendent and company commander went to a place known as Bonanza Bar or Moonlight Valley, which seemed to be an ideal place for the flight. The spot was later investigated and approved by National Geographic and army personnel, and became known as the Stratosphere Bowl (1935).